Using Advanced Merge Field Notation (AMN) with Pocket Developer Any Any Date, Anywhere plugin in an HTTP Post in Campaign Builder, you can automatically mark tasks complete. In order to mark a task complete, you need to set the CompletionDate field on the ContactAction table complete. (The ContactAction table is where tasks, appointments, and notes are stored. See Working with tasks, appointments, and notes for more details.) Doing so with AnyDate is as simple as setting the saveTo parameter to the value “ContactAction.CompletionDate”. However, this will ONLY work properly if the task you want to mark complete is the most recently created task, appointment, or note. To reliably mark the correct task complete, we need to first “prefetch” the id number of the task and store it in a variable. We will then insert that variable in parentheses after the table name, so that when Pocket Developer retrieves the table it gets the entry with that specific id number, rather than the most recently created entry. 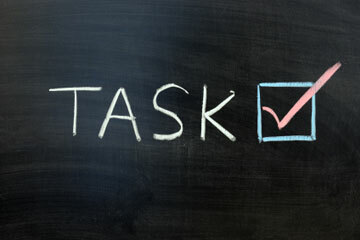 to get the most recent of either kind of task. The prefetch label can be anything, but must contain some alphabetic characters (i.e., not numbers only) and should have no spaces or special characters. In this case we’ve used “taskid” as a clear label of what the variable contains. We will insert this label in curly braces where we want the variable value to be used. In this case, we want to use it in parentheses after the table name, so as to identify the specific entity to change.